A well-designed e-commerce website is a crucial factor in determining the success of an online business. Alcobyte is one of the best e-commerce web design, Dubai company offering future-oriented and customer-friendly e-commerce websites development solutions in UAE and global regions adopting the most cutting edge digital technologies into their business development and marketing efforts. We are ranked as one of the best e-commerce development company in Dubai because we have successfully built every type of store from a small flower delivery store to a complete supermarket. Our e-commerce websites are optimized for all types of devices-desktops, laptops, mobile phones and tablets of any size. With the world adapting to the digital technology at an amazing pace, it has become necessary for every business to have an online presence. We have been instrumental in helping many Dubai e-commerce companies successfully market their products and services on the internet. As a reputed e-commerce website development Dubai company, we offer customized e-commerce solutions that would suit the varied needs of businesses. Our exceptionally talented team of developers, designers and SEO experts work together and using e-commerce platforms like OsCommerce, WordPress, Magneto, PrestaShop etc. have built powerful websites. We are among the leading e-commerce companies in Dubai and assure you of quality work to improve your business reach and target new audience across the globe. Magneto has a plethora of features for static pages as well as SEO performance. It is scalable, secure and offers numerous extensions, modules and plug-ins to create some elegant e-commerce stores. We have constructed several websites on the Magneto platform. WordPress is one of our favorites. The versatility of WordPress allows the users to manage and update content with ease. The popular CMS with its add-on features and plug-ins is now one of the most recommended platforms for a stable and secure e-commerce website. The popular open source shopping cart, OpenCart is growing bigger with a large user community which is developed on PHP script. It offers a wide range of features and is user-friendly. We can develop stable, strong and efficient e-commerce sites for your business. 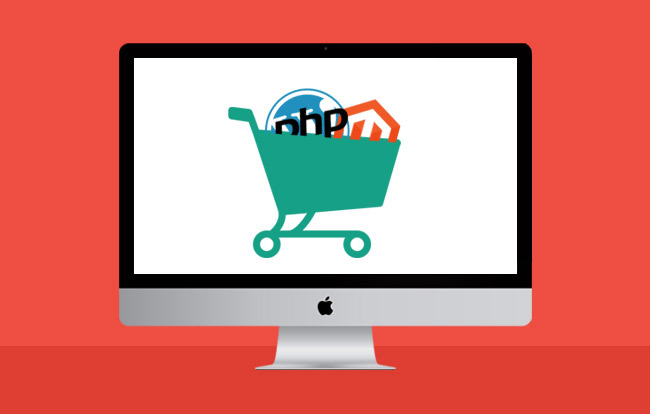 The open source PHP is a highly evolving scripting language has helped generate millions of e-commerce websites. It helps in creating highly interactive and user-friendly dynamic websites. If you are looking for a feature rich and fully functional e-commerce website, you may contact us at Alcobyte. Our team is eager to construct a customized and stunning e-commerce website for you.